Remember, I&apos;m probably half-asleep right now so don&apos;t be surprised if I do something wrong. Btw, the picture above was beautifully drawn by Misty_Angel for this fanfic. He might as well get settled, he was going to be here awhile. It has been at least an hour now and William hasn&apos;t let him get up yet. Then the cervitaur worked up enough self-confidence to look directly into the hunter&apos;s eyes and with a completely serious and not shaking voice told him he was plenty okay now. William looked hesitant at first, but then relented. 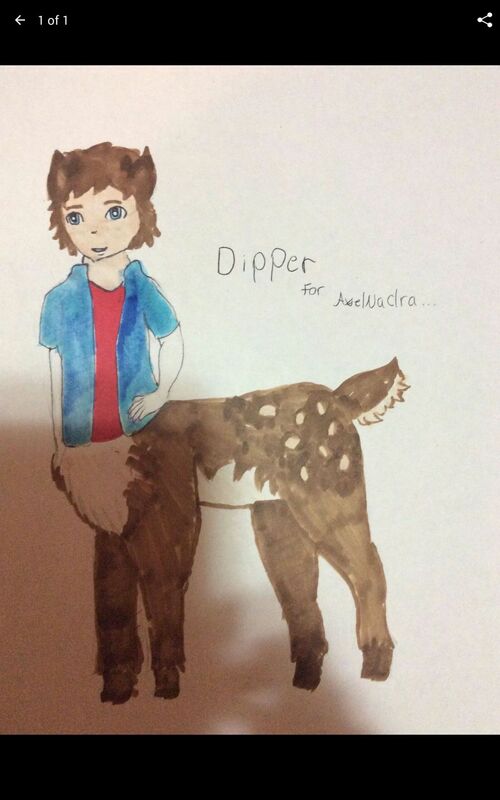 It took, like, 10 Minutes, but eventually Dipper managed to get his hooves to support his injured body. He huffed, wishing he was back at the Shack, having a relaxing nap in his "bed", which was really just a pile of blankets in the corner of his and Mabel&apos;s room. After discovering he couldn&apos;t get into bed himself, they just discarded his old creaky and likely moldy bed and just through some blankets in the corner. Mabel protested about that; she didn&apos;t want him sleeping on the floor, but Dipper assured her, it was actually more comfortable then his old bed. "So, where to, my friend?" An all-too-cheerful voice sang beside him, bringing the cervitaur out of his thoughts and back to reality. Giving William what he hoped was an annoyed look, Dipper gave the slightest of smirks. "When did we ever become friends?" William just stared at him, looking confused. 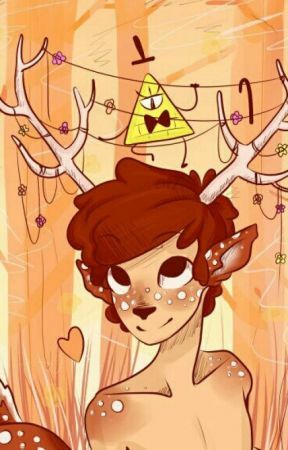 Until now, Dipper hasn&apos;t actually payed attention to William&apos;s eye, but now that he did, oh.. let&apos;s just say he had a hard time looking away. "Hey, again with the staring~! I knew it was hard not to stare at this," He once again made hand motions toward himself "but not that hard!" William then remembered, "You didn&apos;t answer my question from before. Where to?" Face going a bright cherry red, Dipper suddenly found a tree stump to his left very interesting. Stuttering, he tried to answer as best he could. "I-I.. a Shack, not to far f-from here... b-but, I can get there m-myself, t-thank you." "Nah, I don&apos;t have anything to do anyway. I&apos;ll walk you back, no problem~!" William grinned. Giving Dipper no time to reply, the hunter grabbed Dipper&apos;s forearm, pulling him along. "I think I saw a Shack a little ways back, I&apos;ll lead the way!" Staying silent, Dipper had a one-sided argument with himself. "Wow. I can&apos;t even remember the last time I got that shy with someone.. well, there was Wendy, but I got over her eventually. But, his eyes were just sooooooo mesmerizing and before I knew it, I just couldn&apos;t look away!" They were almost back to the Mystery Shack. "Guess William wasn&apos;t lying when he said he saw a Shack. 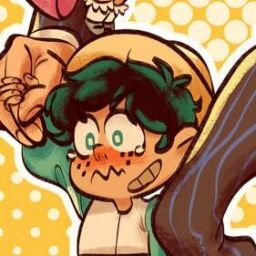 Hope Mabel, Grunkle Stan, and the others aren&apos;t too worried about me.."
He let William continue to practically drag him the rest of the way back the the Mystery Shack.